A New York native working as a journalist in Syria says he is suing the U.S. government to be removed from the government's Drone Kill List. 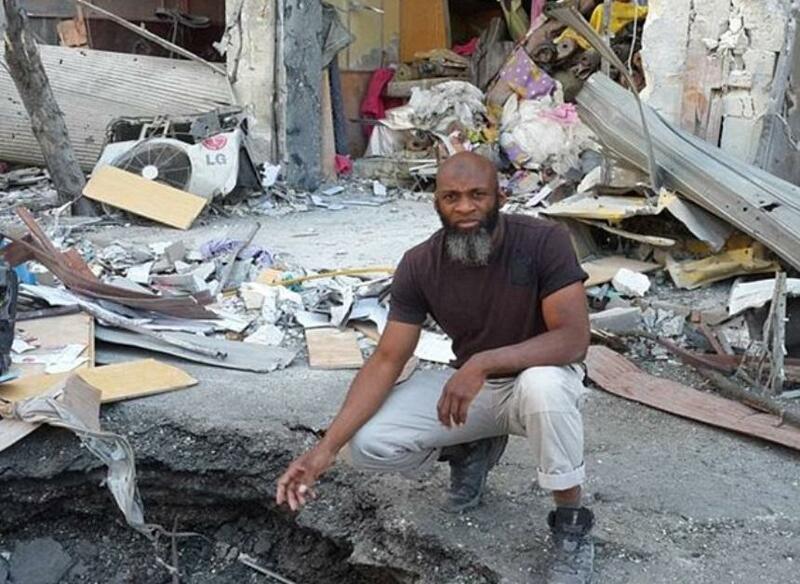 Darrell Lamont Phelps, who also goes by his Muslim name Bilal Abdul Kareem, grew up in Mount Vernon, New York. He eventually converted to Islam and moved to Syria to be a reporter. In 2016, Kareem says he was the target of several attacks and he was tipped by a source that he was on America's infamous "Kill List". The drone Kill List drew criticism when it was revealed that the program used cell phone metadata to select targets. So if a phone number calls a person on the Terror watch list, it can be flagged as a terrorist's phone and targeted. The drone program took off under the Obama administration who pioneered the program. A small team of security officials and lawyers would meet with the president and make decisions about targets around the world such as whether to capture, interrogate, or assassinate by drone. Kareem reached out to Clive Stafford Smith, an attorney who founded a human rights organization based in London called Reprieve. Smith agreed to help Kareem and the pair filed a complaint in district court in Washington D.C., March 30, 2017. A year later on May 1, 2018, Kareem's case was finally heard by Judge Rosemary Collyer. They argued that it was their client's constitutional right to be able to argue their case in court before being handed a death sentence, which is essentially what being on the Kill List is. Finally, on June 13, 2018, Judge Collyer ruled that the U.S. government could not assassinate Kareem without giving him his day in court to defend himself. The Judge said, "Due process is not merely an old and dusty procedural obligation required by Robert's Rules. Instead, it is a living, breathing concept that protects U.S. persons from overreaching government action even, perhaps, on an occasion of war. [Kareem's] interest in avoiding the erroneous deprivation of his life is uniquely compelling." Kareem likely has a long battle ahead of him since the drone program is not going anywhere anytime soon. Drones were first used to assassinate targets overseas the week after 9/11 and since then has swelled to 16 drone missions a day in countries such as Afghanistan, Pakistan, Libya, Somalia, Iraq, and Yemen. Ask your friend Barry and his Deep State friends in the CIA to take you off.